Woburn, MA The Dartmouth Company has signed four new tenants at Horn Pond Plaza. Horn Pond Plaza is located on the Winchester/Woburn line and anchored by Whole Foods, Toys “R” Us, Babies “R” Us, Rite Aid, Olympia Sporting Goods, Hair Cuttery and other notable retailers. There is currently one remaining opportunity of 3,200 s/f available for restaurant, retail, services and medical. • Orange Theory Fitness has leased 3,200 s/f. Orange Theory provides a full body workout, they focus on endurance, strength, and power training and currently has 22 Massachusetts locations with more to come. Avison & Young represented the tenant. • Verizon Wireless has leased 3,200 s/f. Verizon carries the latest cell phones, smartphones, prepaid devices, tablets, cell phone plans and accessories. Eastern Retail Properties represented the tenant. • Wild Birds Unlimited has leased 2,060 s/f. Wild Birds Unlimited specializes in bird feeding and nature products, local expert advice and educational events. Conviser Properties represented the tenant. 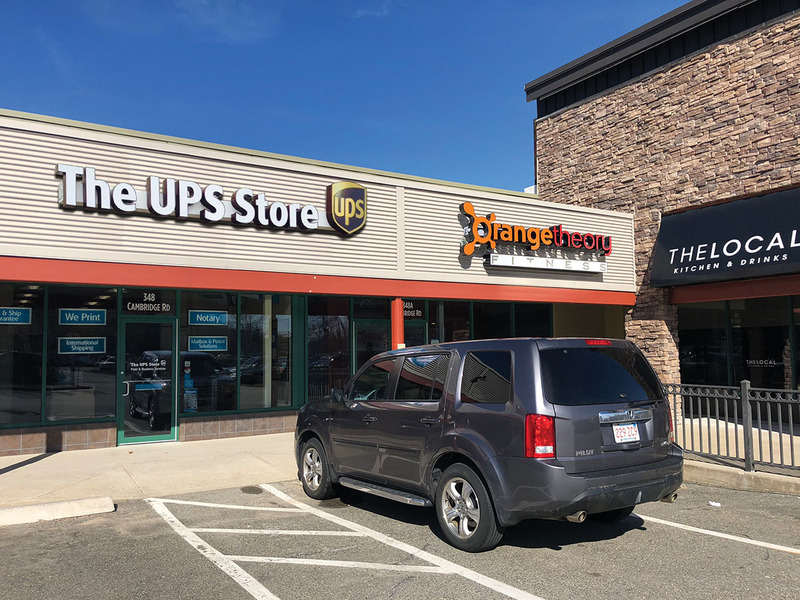 • The UPS Store has leased 1,000 s/f. With over 5,000 retail stores and 39,000 drop boxes, UPS services in more than 220 countries and territories. CBRE-NE represented the tenant.